This fully reversible conversion removes all moving parts to give completely electronic low water detection in the internal plastic water storage tank for a cost of a few pounds and eliminates all moving parts. This mod was completed on my Izzo Alex Duetto. All Izzo machines Duetto, Alex and Vivi, use the same Gicar unit and wiring scheme for low water detection. It’s a unit I like a lot, because it’s, reliable, relatively cheap and readily available (at least in the UK). 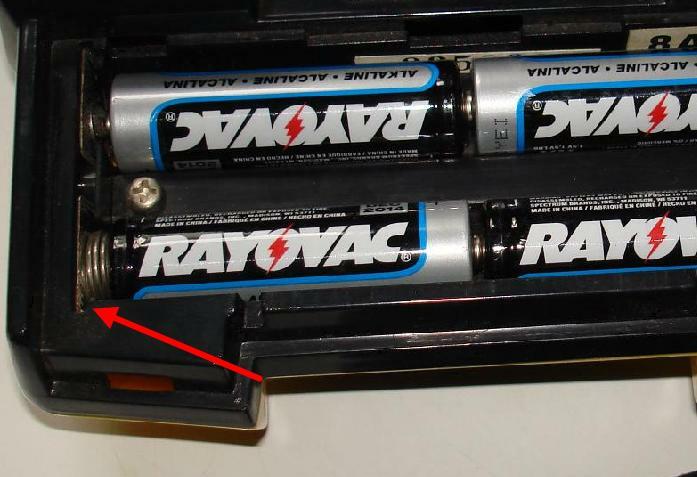 Best of all it has a beeper built in for the low water alarm circuit. Izzo operate this circuit by means of a micro-switch and sprung platform. 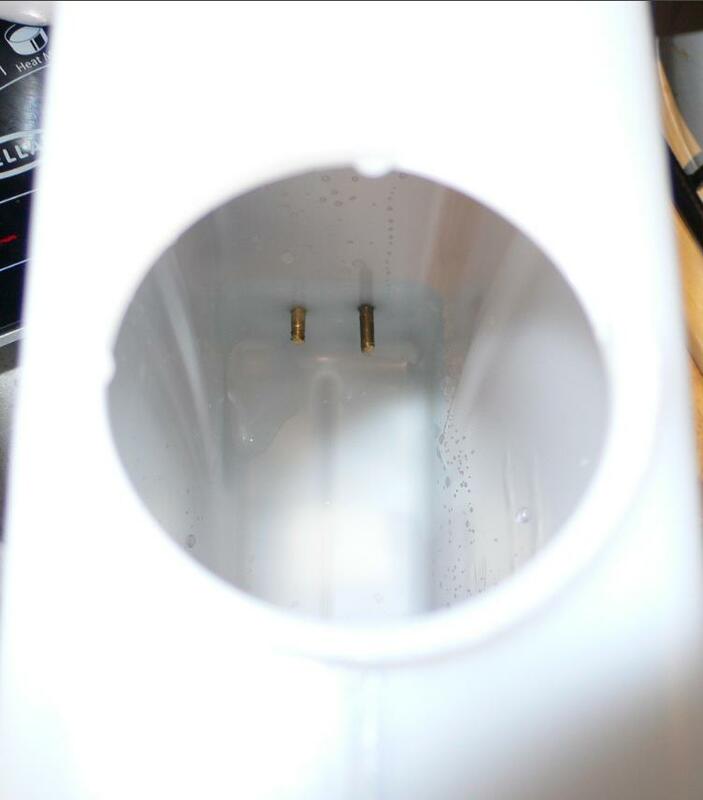 As the weight of water in the tank reduces (as it’s used), the tank rises slightly and the pressure is removed from the micro-switch, this breaks a circuit to earth from a pin on the Gicar box , releasing the function of the boiler heating element and pump. The beeper sounds letting you know more water is required. In all probability, this modification would work for ANY machine using the same (or similar, as long as it had the function) Gicar unit. 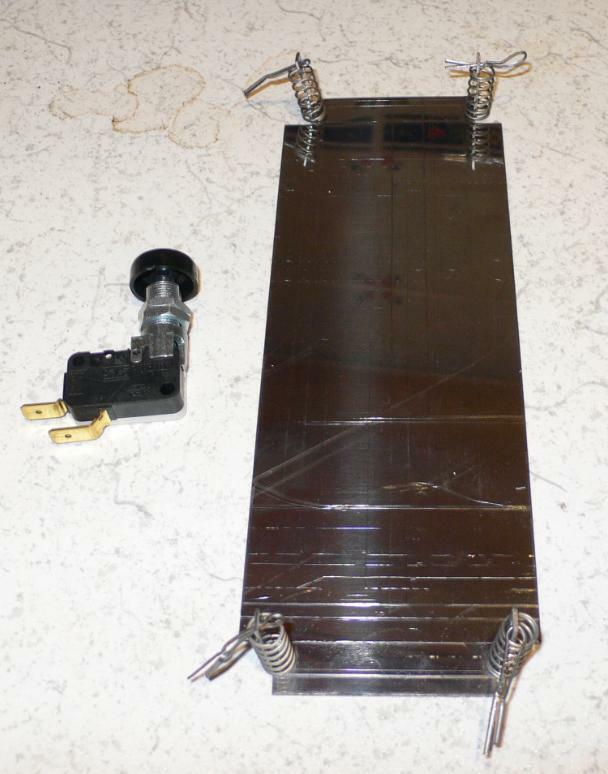 The engineer in me always found the solution workable, but not elegant, partly because I thought there was a better way and partly because 4 springs a platform and a micro-switch, simply is not elegant. It could also be a little variable and often a lot of water could still be in the tank when it cuts out….or even too little! I was pretty sure the Gicar used a similar type of circuit for this water tank detection via micro-switch as it does for the Boiler autofill probe. (the subject of an article I want to write soon and why I like Izzo machines a lot). I made a few enquiries with Izzo and received a copy of the Gicar technical schematic, and as I thought the same type of circuit seemed to be used. 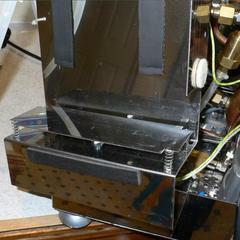 Certainly it was shown as a level detect circuit for a water tank (that used a probe similar to the boiler) by Gicar. This allowed me to make the required calculations and start to modify a spare tank I had hanging around. I was also able to check voltages and current used, nothing dangerous was found, but of course I expected this as it was making a circuit to earth in any case and did nothing the low water detection circuit in your boiler does not do every day. I used Galvanised steel bolts for the proof of concept, but stainless would work equally well. I finally settled on brass for my final modification (only because I happened to have 2 brass screws lying about). Money, I don't have much, so had to use whatever materials were to hand. 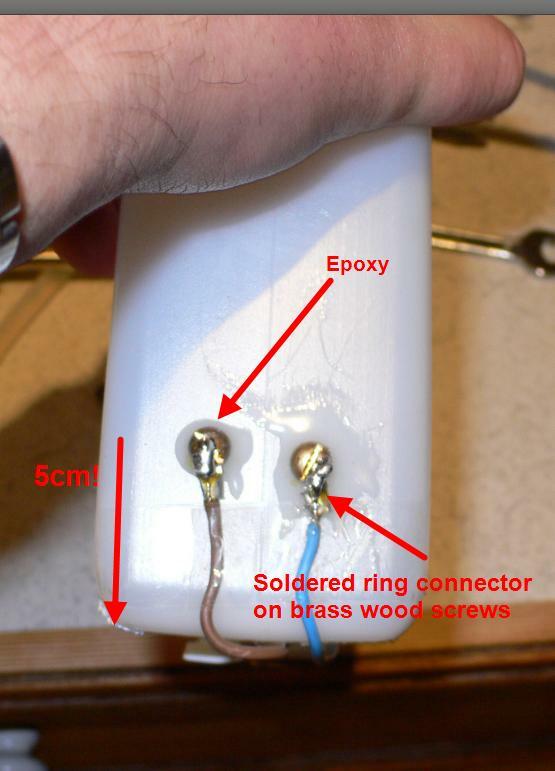 Otherwise I would have used idendical brass woodscrews and very thin white wire for the bottom tank connectors, with everything clear epoxied in place! 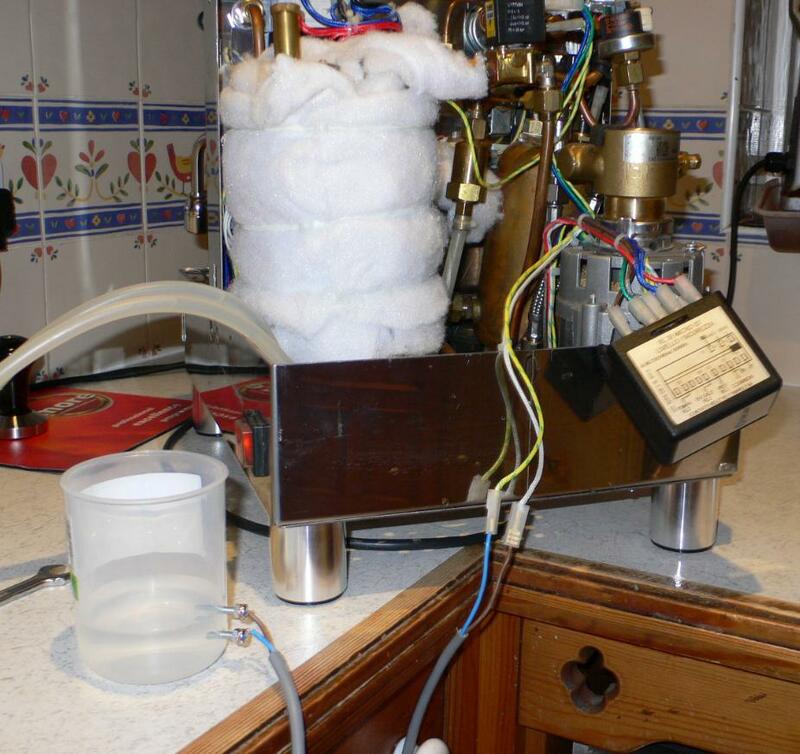 Luckily I had a larger spare tank hanging around and because I was going to gain valuable extra centimetres with the modification, I could use this much larger tank (20/30% larger), it was in fact the same tank as used on the Expobar machines e.g. Brewtus . 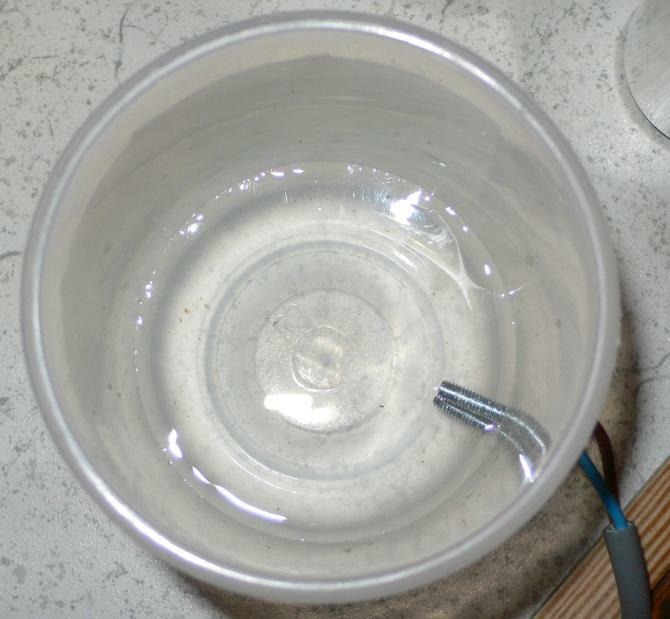 Thin electrical wire for tank (you can use much thinner than I used, I just used what I had available. Approx 15cm each length. 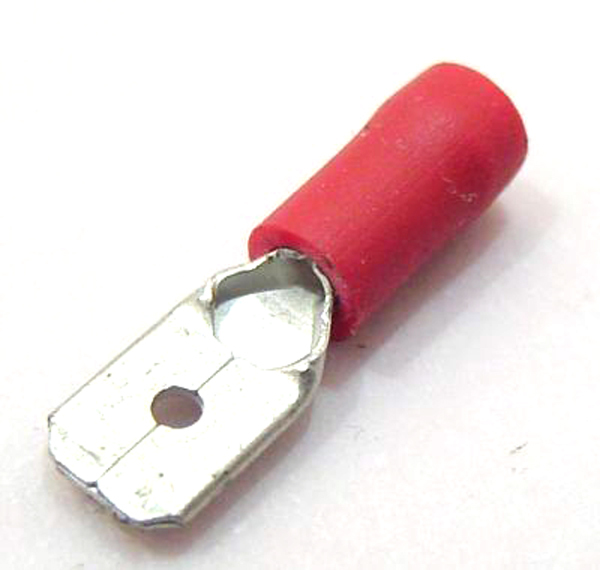 Battery spring connectors from any discarded electrical device e.g. an old childs toy (free, steal it from a child), note the picture for the best type of spring connector. The modification process takes around 40 minutes to 1 hour (mainly because you have to let the Epoxy set. Trim off the threads of the two brass wood screws and, this will leave a smooth shank ideally around 1.5 to 2 cm long. These will form the “detection pins”. Drill 2 holes in the side of the tank (just large enough for the detection pins to just push through), these should be approx 3 or 4cm apart and 5cm from the bottom, or from the lowest point your tank tubes go (this is important: NO LOWER than 5cm from the bottom, because of the Gicar units delay). Solder the thin wires to the ring connectors (tin the wires and connectors first, before trying to solder them together), fit ring connectors to the screws and push almost all the way into the tank. Put a good measure of epoxy resin between the plastic and the head of the screw wall round and as you push in allow a nice round blob to form a good seal (don’t push too hard). Let epoxy set and check tank for leaks (my pins are not the same length because I had 2 different size screws, with different lengths of shank). 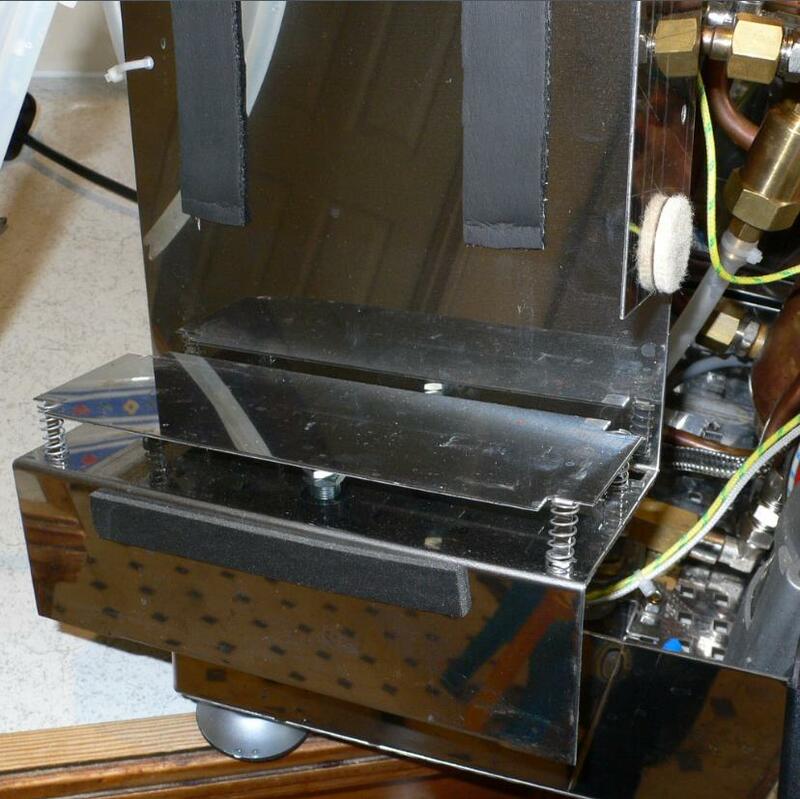 Remove case, and remove water tank carrier (two screws at rear of machine on underside hold water tank carrier in place) Remove the spring platform and Microswitch from the existing water tank carrier. Take that small thin metal plate you made and one of the thicker electrical wires, strip it leave about 2 cm of copper core exposed to give good connection, place on back of strip. 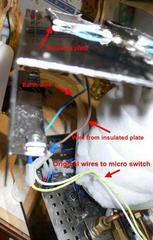 Use duck tape (2 layers) to secure bare wire to strip and to provide insulation 1 side (water tank platform side! ), folding it over the edge slightly helps. Stick plate to water tank platform as shown with some double sided tape, or a bit of that epoxy (you didn’t throw it away did you). Wire the carrier as shown with an earth wire then take both of the wires and crimp a couple of spade ends onto them so they can be a push fit into the connectors that used to be on the micro-switch. The insulated plate should be to the Gicar and the earth wire should be to the wire directly connected to the water tank carrier. Place the springs you stole from a Childs toy battery compartment at the appropriate locations on the bottom of the water tank, after first trimming the wire from the detection pins to the correct length and soldering them onto the battery connectors (remember tin each part first before attempting to solder). 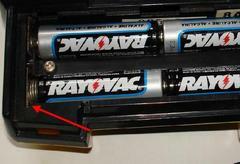 Try and find a battery compartment with springs attached to metal plates as shown by arrow. Use duck tape to secure in position (remember measure twice, cut once) as shown…sure it doesn’t look nice, but it works, I suppose if you are a neat freak, you can use epoxy. 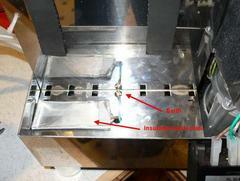 Then finally duck tape of the detection pins to prevent them earthing out against the case (2 layers). Job done, replace tank and test! 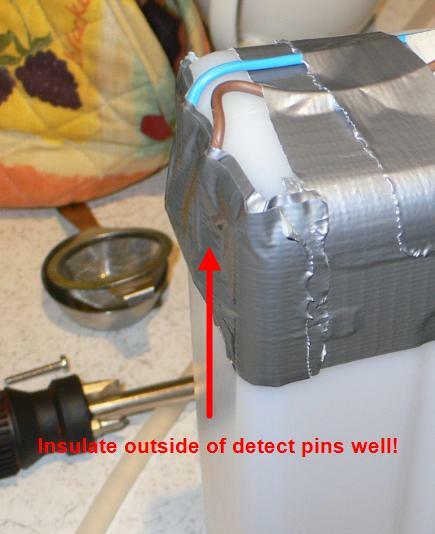 I used this method rather than connecting wires to the tank, because it allows the tank to be easily removed for cleaning and doesn't disturb the connectors or detection pins, so hopefully no leaks. Should the pins ever look dark and in the very unlikely event they stop working, a little citric acid soak of the pins will soon make them bright and working again! The best bit about this solution (as long as your tank doesn’t leak), is that if it fails, it fails SAFE and your machine will simply switch off and bleep at you. However, I have had it working for a while now and it's actually quite reliable, unlike the magnetic hall effect float and sensor system used on some makes of machine. Note: There are a few minor changes you need to make to the tank to ensure the pipes fit without any restriction. This works on earlier model Duettos, but the pipe routing may have to be adapted for later model ones. The photos that follow make it quite clear what I have done.